Ynys-hir in the Dyfi Valley is a beautiful place. Wild things hide, skulk about and don’t show up on demand. They fly away, die, eat each other, make out they are not there. Then, just when it all seems too difficult, they will do something so jaw-droppingly, hair-raisingly amazing that it makes life sparkle and tingle. It is a challenge to interpret this unpredictability and we have long argued that permanent panels are a really poor solution for something that will be different on every visit. We are strong advocated that fixed interpretation at wildlife sitesshould often be temporary and responsive to what is happening. 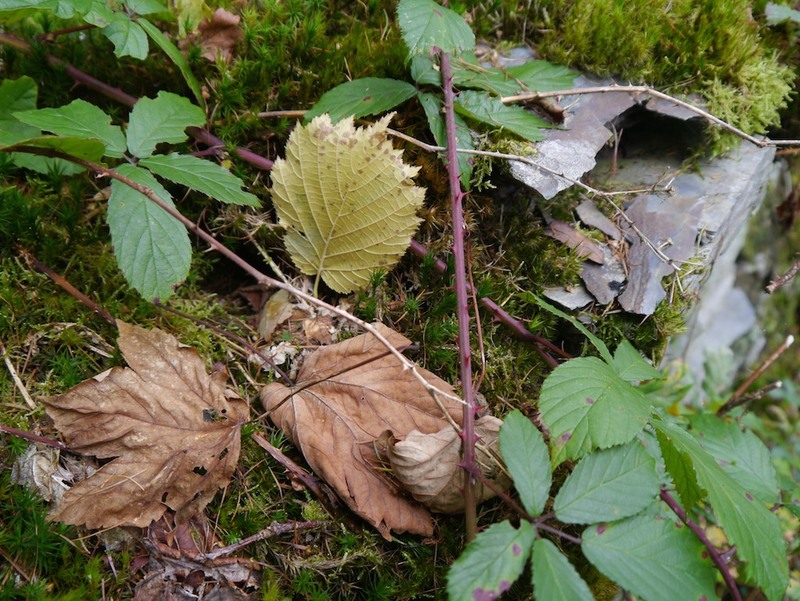 Over the last few years quite a lot of people who run nature reserves in the UK (notably the RSPB and the WWT) seem to be agreeing with us and are developing nice ideas for seasonal interpretation. 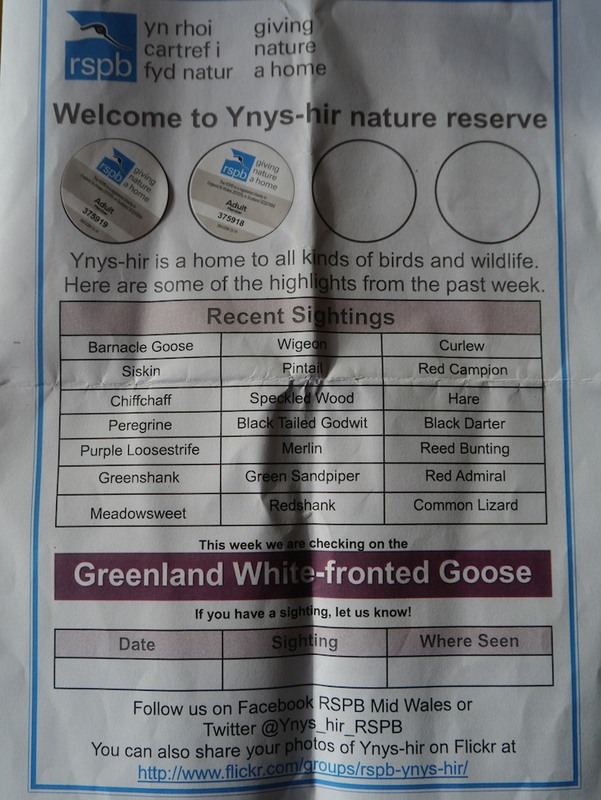 RSPB Ynys-hir in Wales really impressed by taking it further. Firstly, when we arrived they gave us this. Up to the minute information on what has been seen and a specific call to action on the Greenland white front. The reserve is lovely and looked glorious in autumn. That would have been enough for me to blog about I much I enjoyed my visit – but it’s still not the best bit. We found lovely examples of temporary seasonal interpretation. Timely information, related to what we could see and written on local slate to boot. It demonstrates that people here notice and enjoy what’s around them and are prepared to take a bit of trouble to show it to visitors. Nice work that I could well have blogged about – but there was even better to come. 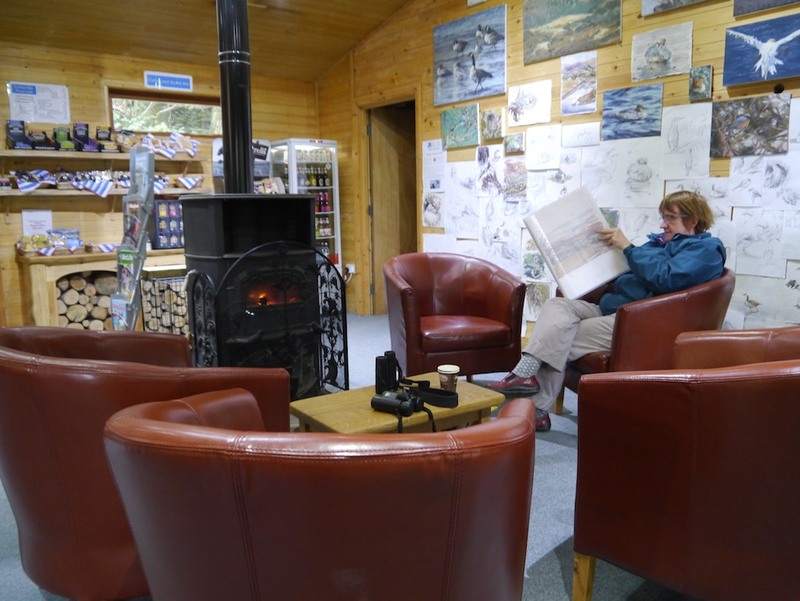 When we got back to the small visitor centre, the woodburning stove was lit. The comfy chairs around it were empty and inviting. The coffee and snacks were high quality. The staff were exceptionally friendly and interested in us and our visit. That would certainly have been enough for me to blog about a warm, welcoming visit – but the best bit was still to come. Even better than the fire,the chairs and the coffee was the browsing material. Inspired and inspirational. 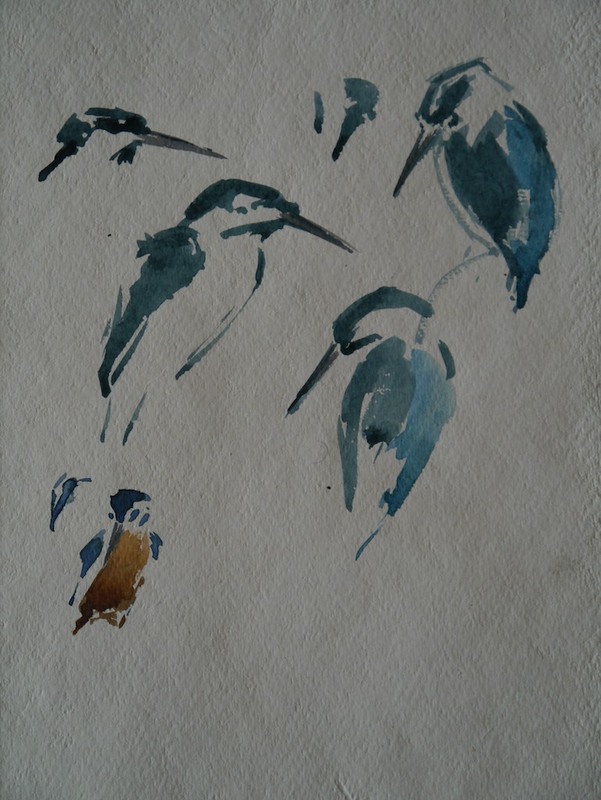 The combination of wildlife art and wild places is resonant. 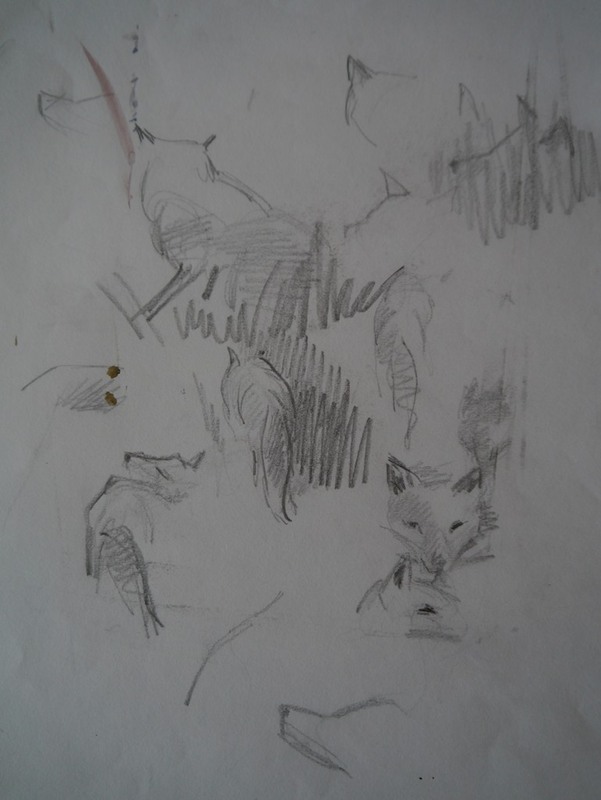 The sketches embodied the transient, mobile delight of being with wildlife. The centre manager told us the sketches on the wall change week to week. I think that is possibly the most brilliant way to reflect the dynamism of the natural world and how it touches people I have ever seen in a visitor centre . 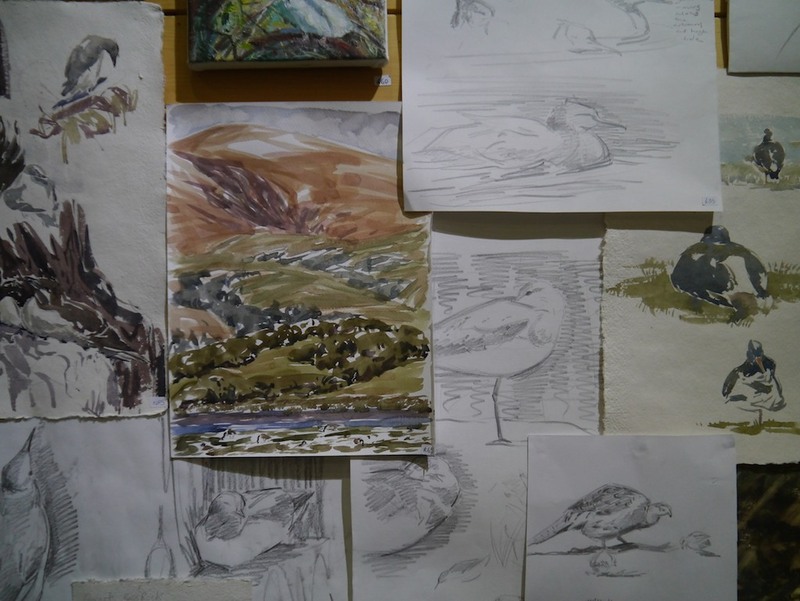 At Ynys Hir the RSPB is showcasing and supporting a young wildlife artist whose work celebrates the joy of being there. That’s a good thing to do too. This glimpse of a fox made its way home with me. Sitting by the fire, looking at the art in the portfolios and on the wall, was lovely. It made us happy. 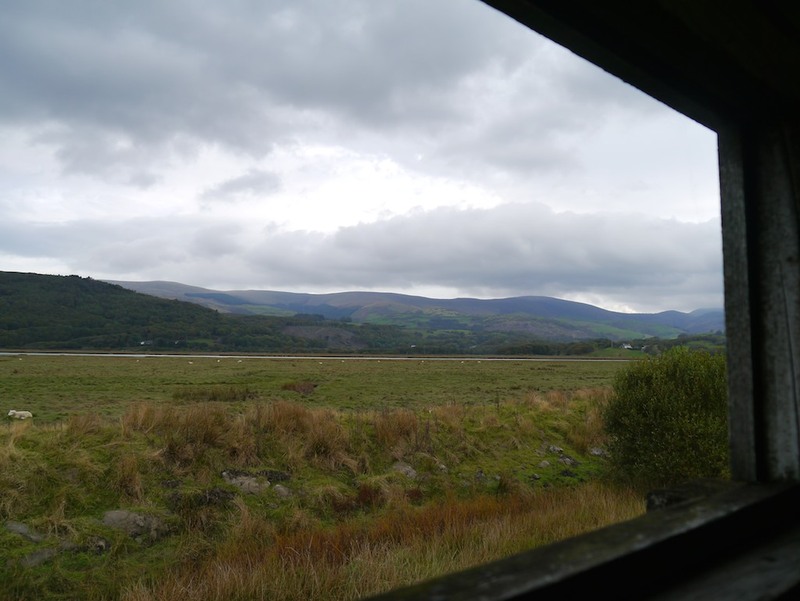 Of course in business terms, it extended our visit, built our relationship with Ynys Hir and with the RSPB and encouraged us to spend more money. We left with happy memories of a hospitable, beautiful reserve and with two pieces of original art. That’s one good day out. 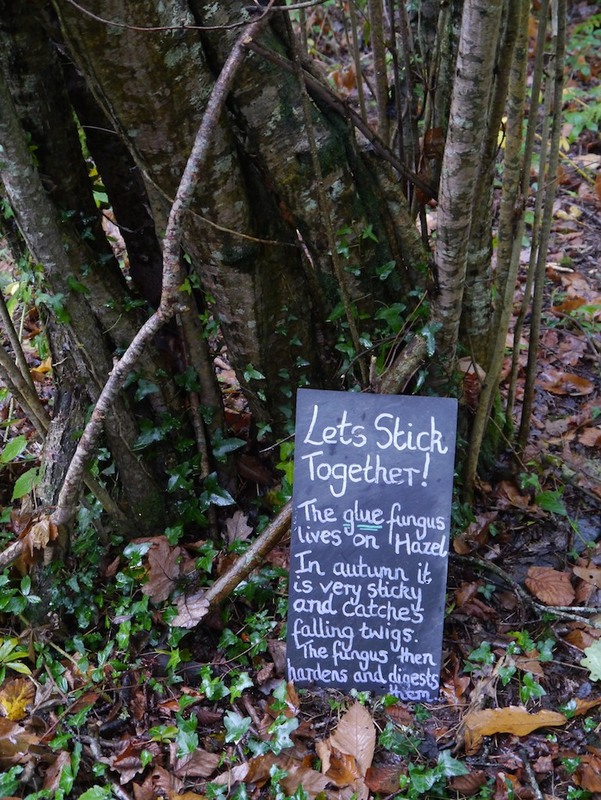 This entry was posted in Good places to visit, Interpretation, Tips and advice, Uncategorized, Visit experience, Visitors and tagged Becky Thorley-Fox, RSPB, seasonal interpretation, visit experience, wildlife art, wildlife interpretation, Ynys-hir. Bookmark the permalink. Thanks for that, I’ve forwarded to the Wales Director and our newish Operations Manager. Hope all’s well, seems a long time since Old Moor.